When we went shopping at Whole Foods this week, I felt inspired to buy ingredients to make homemade salsa. But then I realized how difficult it would be to eat the salsa without chips. Had some chicken breasts in the fridge, and decided to throw together some salsa chicken in the slow cooker. It was delicious, easy, and made enough for a couple days of leftovers! Holden brought some for lunch on top of salad, and then we had it with zoodles for dinner tonight. We’ve got another tupperware container for tomorrow’s lunches, too. I wish I had a few avocado slices for garnish… next time! Dice tomatoes, jalapeño, and half of the onion. Chop in a food processor with a squeeze of lime juice, cilantro, and salt/pepper. 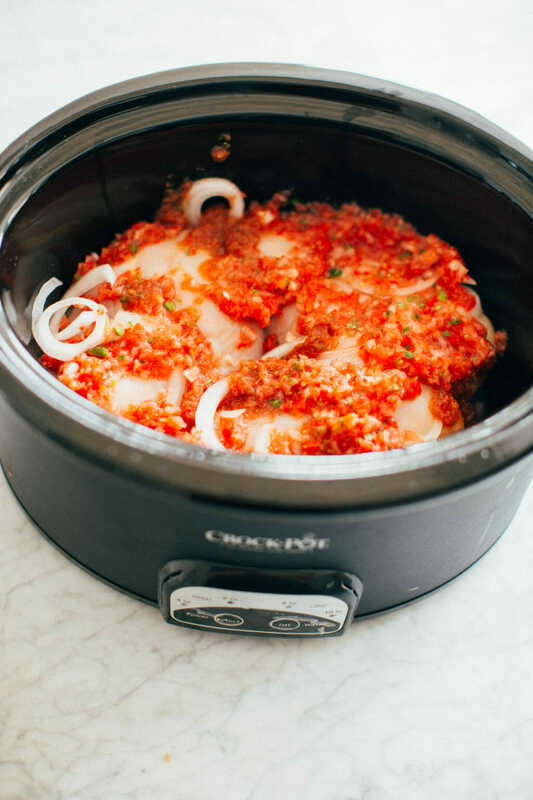 Arrange Chicken Breasts in the bottom of a slow cooker. Slice remaining onion and sprinkle over the chicken. Pour homemade salsa evenly over chicken. Add a tablespoon of coconut aminos for additional seasoning. 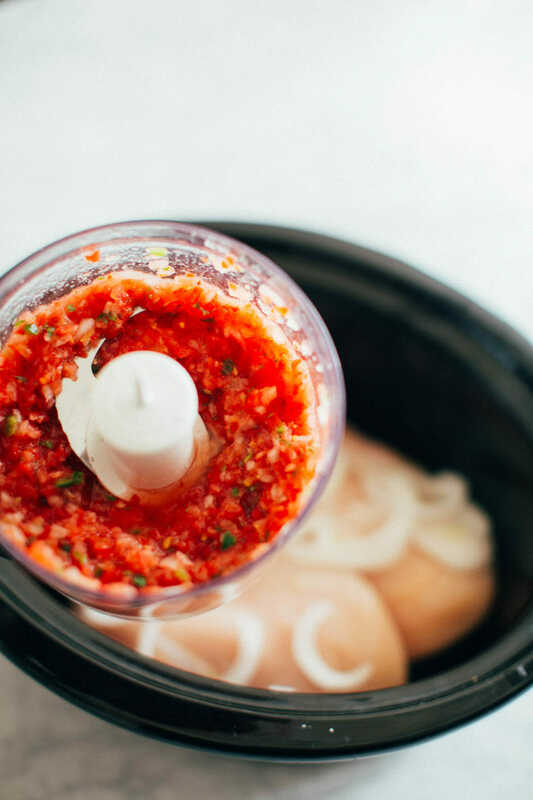 Shred chicken and let simmer in sauce for 10 minutes. 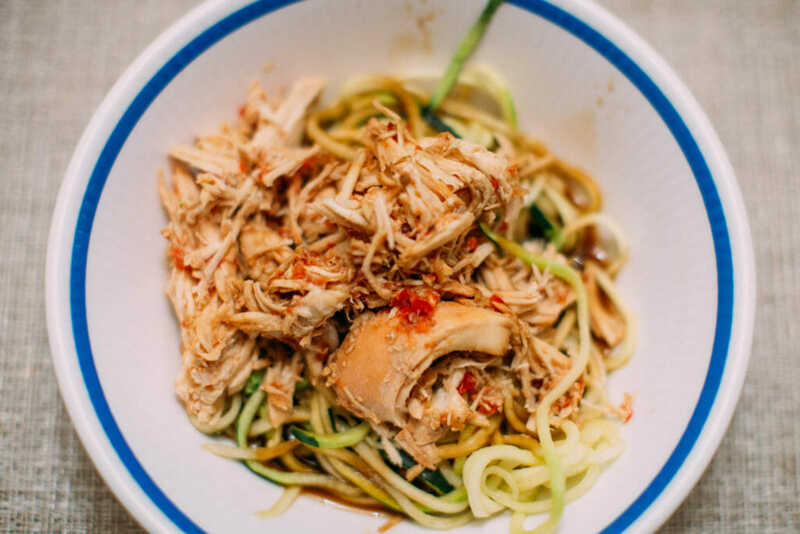 Serve shredded over salad, cauliflower rice, or zoodles!